Narendra Modi the Liar, proved beyond Doubt.
? Ahmedabad, May 23: Gujarat Chief Minister Narendra Modi on Thursday regretted that successive governments at the Centre neglected the importance of yoga, which is gaining prominence in the world. “Yoga was intentionally neglected by Britishers while they were ruling the country as they feared that through yoga India will become powerful in the world,” Modi said inaugurating the Lakulish Yoga University. “But even after Independence, we didn’t come out of the slave mentality and continue to ignore the importance of yoga. And sometimes by equating yoga with communalism, we inflicted a great damage on us,” Modi said. Lakulish Yoga University, established by Life Mission Trust of Gujarat, is claimed to be the first ever such private sector self-financed institution in the country. Modi, while citing Sanskrit ‘shlokas’, stressed the importance of yoga and how it can play a vital and decisive role in the lives of people. “Today, every human being in the world is confused, unhappy and is seeking inner peace. He does not need materialistic wealth but needs peace and only yoga taught by a professional, an exponent or a complete teacher can facilitate this peace,” he said. “People across the globe are curious about yoga and it would have been better if successive governments of our country had included yoga as a path to reach the whole world. Then India would have got a great opportunity to connect with the entire world,” Modi said. “I hope and wish that this Lakulish University, inspired by one of the authority in yoga of our time, Swami Rajrshi Muni, will generate expert yoga teachers which in turn will spread it (yoga) in the world,” Modi added. Addressing the gathering, varsity founder Swami Rjarshi Muni said there would not be just one medium of teaching in the institution. “No matter which language they (students) speak, here we will impart education in their preferred languages. We have yoga teachers from every part of the world,” he said. The university will award degrees for the three-year courses. The state government had earlier enacted a law for creation of a Yoga university in the state. There are many Universities of Yoga in India The Bihar Yoga University is an internationally acclaimed school of Yoga founded by Swami Satyananda Saraswati in 1964 to fulfill the instruction given by his Guru, Sri Swami Sivananda of propagating the ancient wisdom of yoga from door to door and from shore to shore. Situated on the banks of the Ganges, the campus of Bihar School of Yoga is known as Ganga Darshan, located at the top of hillock in the town of Munger in the Indian state of Bihar. Bihar School of Yoga imparts traditional yoga teachings to householders and sannyasins alike from across the globe. S-VYASA is a Yoga University declared deemed to be University under Section 3 of the UGC Act, 1956,, started in 1986, in Bangalore in Karnataka yoga university . There are many Universities of Yoga in India… The Bihar Yoga University is an internationally acclaimed school of Yoga founded by Swami Satyananda Saraswati in 1964 to fulfill the instruction given by his Guru, Sri Swami Sivananda of propagating the ancient wisdom of yoga from door to door and from shore to shore. Situated on the banks of the Ganges, the campus of Bihar School of Yoga is known as Ganga Darshan, located at the top of hillock in the town of Munger in the Indian state of Bihar. Bihar School of Yoga imparts traditional yoga teachings to householders and sannyasins alike from across the globe. 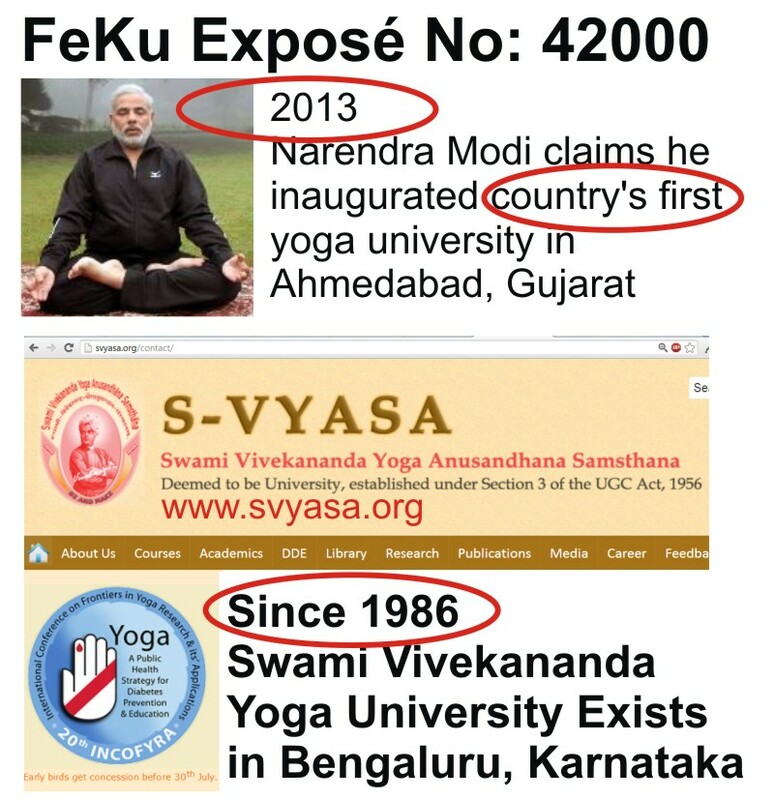 You are ignorant and frustrated.Narendra Modi has just inaugurated the University and its the media that claims it to be the first Yoga university. Also note the fact that SVYASA is a deemed-to-be University and not exactly a university.Read the UGC Acts to differentiate. Lakulish Yoga University, established by Life Mission Trust of Gujarat, is claimed to be the first ever such private sector self-financed institution in the country. I wish we had politicians like CM Modi in my home country.